October 23, 2017 4:44 pm. FORGET The Championships and all the other competitors, the true pinnacle of racing in Australia is the Melbourne Spring Carnival. 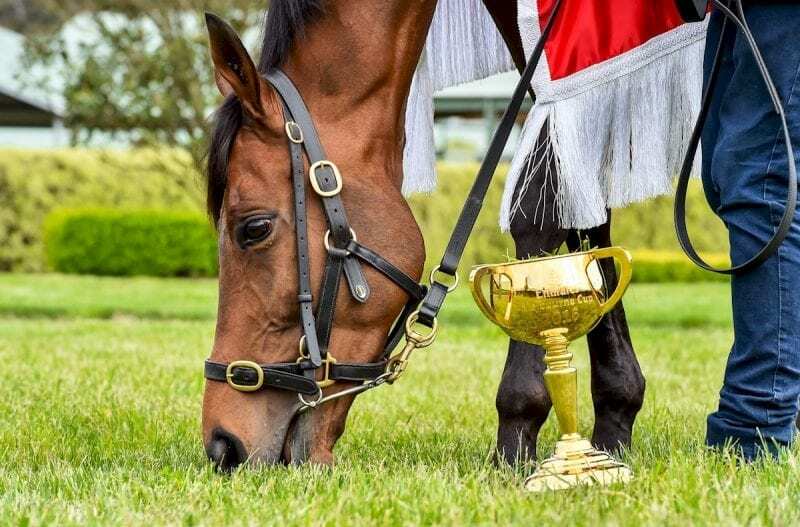 While there is plenty of fanfare in Melbourne about the Caulfield Cup and the Cox Plate, the true crown jewel in the crown of spring racing is the time-honoured Melbourne Cup. A true international race, the Melbourne Cup sees the best staying horses from around the globe bring their talents to the Victorian capital in search of group one glory. 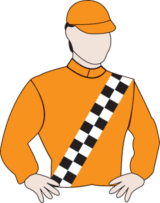 Mid-way through the year the nominations for the Cup are released, and that list is eventually whittled down to 24 on the Saturday prior to Tuesday’s race day. 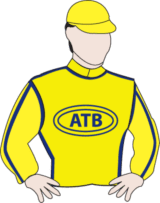 Best Solution took out the Caulfield Cup in one of the tightest finishes in the race’s history and subsequently didn’t receive a penalty for Tuesday’s big one. It bodes well for a strong run for the Godolphin team. 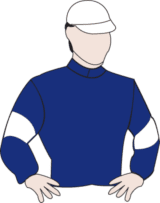 The Cliffsofmoher has had a sneaky good preparation to the Melbourne Cup, finishing fourth in the Caulfield Stakes before rounding out the placings in the Caulfield Cup. It would read as excellent form in any other year, but Cliffs has flown under the radar heading into Tuesday. Magic Circle is looking to become the second-straight import to win the Melbourne Cup without a start in Australia. The winner of the Group 3 Henry II Stakes in the UK, the gelding is a proven two miler and more than capable of winning the Cup despite the wide draw. 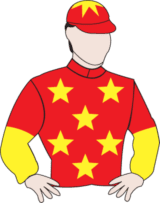 Japanese import Chestnut Coat failed to finish inside the first half of the field in this year’s Caulfield Cup and presents as an also-ran in the Melbourne Cup. The horse performed admirably in a pair of group performances in Japan but would need to step it up considerably to be a factor in this one. 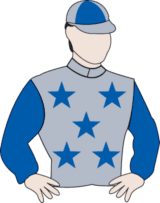 Another galloper that is making his Australian debut in the Cup, Muntahaa is the Ebor Handicap winner – a key overseas lead-in race. Some pundits have said it wasn’t the strongest Ebor, but winning any Handicap race of that magnitude is no small feat. The odds reflect Sound Check’s chances in this one. In his only Australian start Sound Check failed to finish in the top half of the field in the Caulfield Cup. Would need some Prince Of Penzance-style luck to deliver a win in this field. The veteran of the Melbourne Cup and fan favourite Who Shot TheBarman flies the Kiwi flag for Waller in 2018. A stayer with proven two mile ability, the ten-year-old will need to make history to win it but is more than capable of running a cheeky race. Australia’s best hope for a homegrown Cup winner were dashed when Ace High drew barrier 22 for Tuesday’s race. Already up against it considering the calibre of this field, Ace High will struggle massively to be a factor in 2018. Marmelo is running first-up in the 2018 Melbourne Cup and looks like a terrific prospect. Last year’s ninth placed runner has displayed terrific flat form this year, winning twice and finishing second a further two times over four starts. Under Hughy Bowman we’re anticipating a strong showing. The Bart Cummings winner Avilius has displayed sensational form throughout 2018 and looks a great chance at decent odds. 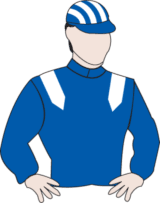 A fourth placed finish in the Cox Plate at WFA conditions looms as an ideal tune up race and the Godolphin runner should be right in the Cup frame. Short-priced favourite Yucatan drew a horror barrier for the Melbourne Cup. Still, the Herbert Power Stakes winner’s dominant victory to gain ballot exemption was so strong we’re backing it to overcome the wide draw and be a major player. French import Auvray failed to run in last year’s Cup and we think the Freedman runner will struggle to be a factor in the race that stops a nation. Barrier 1 will be a hindrance and the lead in form doesn’t look ideal. Seek other runners. Finche made an impression in his Australian debut, finishing third in Geelong Cup on October 24. 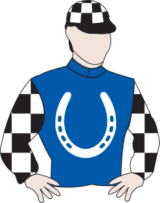 The horse looks to be a galloper to keep an eye on going forward but Finche is one of our better bets at odds in this year’s Melbourne Cup. 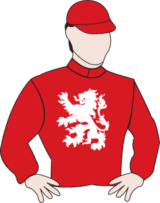 Red Cardinal finished 11th in last year’s Cup and it’d take a massive upswing in fortunes to better that this campaign. The horse switched camps to the Darren Weir stable late last year but he has only managed to finish inside the first half of the field once in five runs. Avoid. 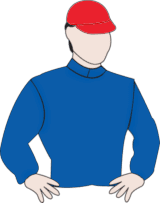 Another horse that looks like an also-ran in the Cup, Mike Moroney’s gelding is yet to win in 2018, with a best-placed finish a fourth in a weak Bart Cummings field. Don’t expect anything special in the Cup. The Moonee Valley Gold Cup winner Ventura Storm looms as a strong hope in the big one. The horse will have learned from both runs at Melbourne and Sydney Cup over the last 12 months and we’re backing it to make an impression at odds. A Prince Of Arran became the last horse to gain ballot exemption into the Cup and he looks a quality hope heading into the big one. If the gelding can handle the short turn around he’s a definite hope in the race that stops a nation. Nakeeta looks like a horse that you can disregard this year. 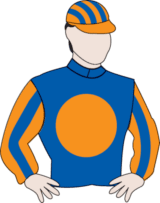 With rookie rider Regan Bayliss taking the ride and lead-in form that leaves a lot to be desired it’s hard to get excited by Nakeeta’s chances. The triple-figure price reflects Sir Charles Road’s chances in the Melbourne Cup this year. Sir Charles Road would have to grow wings to take this out. Another Kiwi hope, another triple figure runner, another galloper that has next to no hope. Winning from barrier 24 just doesn’t happen and this horse is no world beater. 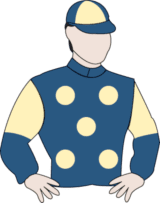 The 2018 Geelong Cup winner registered the win in the Group 3 event with a slashing run from the front. Unlikely to get a similar run in transit and we’re overlooking the Waterhouse and Bott runner. Australia’s best chance heading into the Cup. Gets the experienced Craig Williams on board and has arguably the country’s best trainer in Chris Waller preparing the mare, but it may be a bridge too far at this stage of her career. Debuting in Australia in the Cup, Cross Counter will benefit greatly from a rock-bottom weight. The British invader is well supported in the market but we’re not convinced he is good enough to be taking this Cup out. We took a look at the contenders for this year’s Melbourne Cup and gave our impressions on the race that stops a nation ahead of what looms as one of the hardest races to predict in the Australian spring. The final field for the Melbourne Cup is not currently available. When the final field is declared Horse Betting will have your complete guide to each and every runner in the race that stops a nation. After wisely bypassing the 2017 Cox Plate and another futile showdown with Winx, Hartnell’s sole focus has been on the Melbourne Cup. 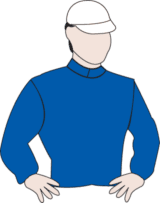 The horse unfortunately is not travelling anywhere near as well as last year after finishing ninth in the Caulfield Stakes and it would take a big form reversal to see the Godolphin runner finishing in the placings. Forget the last-start run in the Bart Cummings Stakes, Almandin’s frankly remarkable form saw it installed as a false favourite for that race. 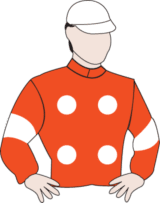 The fourth-placed finish in that race was enough to suggest the horse will be cherry-ripe heading into the Cup and we believe it’s a great chance to score back-to-back Melbourne Cup victories. It’s drifting in the market with money coming for Marmelo, but he represents a serious winning chance. Humidor didn’t fire in the Caulfield Cup, but the Darren Weir-trained runner looked impressive in the Cox Plate. The former New Zealand runner pushed Winx to within a length in the greatest weight-for-age race in the world. That run should see him in peak order for the Melbourne Cup, but the only concern is whether it can settle well enough over the two mile distance to feature in the finish. 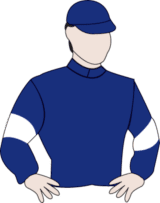 French galloper Tiberian is one of the more versatile horses in the race, and a win in the Melbourne Cup would see it win its third-straight race. Had it not been for an ordinary seventh in the Group One Grand Prix de Saint-Cloud back on July 2, the horse could be hunting for a sixth-straight success. 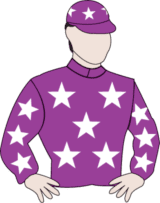 To our eye its the best horse coming down under for the Cup, and while no Australian starts is somewhat of a question mark, we think the horse is going to be well in commission here. 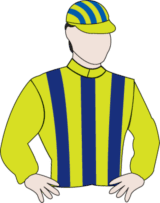 All connections for Marmelo were looking for was a solid tune up run in the Caulfield Cup and that is exactly what they got from the British import. Looking to follow in the footsteps of Protectionist and Americain by winning the Group Two Prix Kergorlay in France before winning the Melbourne Cup in the same year, Marmelo looks well placed to replicate the feats of runners past. The bigger bets have come for Marmelo throughout the week, which now sees it equal favourite with Almandin. This horse is a difficult one to gauge. Coming out of the same French race as Marmelo, Red Cardinal was never truly in the Prix Kergorlay, which was ran at a snail’s pace. Prior to that however, the horse gained entry into the Cup after a brilliant win in the Group Three Belmont Cup in America. This horse has similar traits to fellow German runner Protectonist, which won the Melbourne Cup back in 2014. In-form jockey Kerrin McEvoy takes the ride and his brilliance will be needed after Red Cardinal received barrier 23. Johannes Vermeer was never a true winning threat in the Caulfield Cup for us despite what many would have you believe, but the horse is a true Melbourne Cup contender following its strong performance for third. 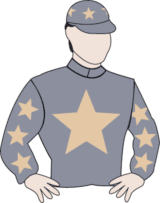 Missing the start and encountering trouble throughout the run, the horse thundered to the line to round out the placings and if he can stay the 3200m distance, he’s right in the Melbourne Cup mix. Bondi Beach is clearly past its best and its form leading into the 2017 Melbourne Cup has been anything but extraordinary. Robert Hickmott will try work his magic on the six-year-old, but the odds tell the full story. After avoiding the Cup last year, Max Dyanmite is looking to replicate the form which saw it finish second in the 2015 edition to shock winner Prince Of Penzance. A last-start win in Killarney convinced Willie Mullins to bring the horse back, but the horse did not beat a lot in that race as a $1.45 favourite. Too short for our liking and we’ll be avoiding the French import. 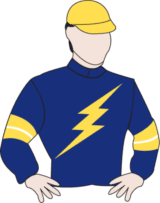 The Caulfield Cup run for Irish runner Ventura Storm was described as “disappointing” by jockey Damien Oliver, and after a bit of hype around the horse, punters have jumped off. Olly also said the horse’s mind “wasn’t on the job” in the Caulfield feature, which concerns us too. Looms as a horse simply making up the numbers and there hasn’t been any money for it. Withdrawn Sunday 5th November 2017 with an elevated temperature. While not the most eye-catching of runs in the Caulfield Cup, Wicklow Brave got through the race unscathed. 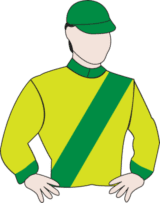 Jockey Joao Moreira commented that the horse copped interference which could have seen it finish closer to the place-getters. Looms as another that will be simply making up the numbers, but it might attract punters wanting their shot at glory. Winning the re-instated St Leger at Randwick was a huge tick for Big Duke, which will come in well prepared for the Melbourne Cup. The horse has proven it can compete well at the journey after placing in the Group One Sydney Cup and will benefit greatly from being an overseas raider that has had all year to get used to the Australian conditions. He might be tested at this distance and he possesses a good turn-of-foot, but the odds are appealing. Last year we would have given the horse a huge chance of being competitive here, but as a four-year-old US Army Ranger has been been less than stellar. Finishing dead last in two of its last four races, the horse has failed to win May of 2016. We are more than happy to let others invest here as there are better betting opportunities available. The Hayes and Daberning-runner received a 1kg penalty following its stunning win in the Caulfield Cup. Could lightning strike twice? Unlikely but no one gave it a chance at Caulfield either and he’s a tough customer which will lope along and see out the distance. Seven-year-old which hasn’t run a good race in some time. Unsure why it’s in the field as it doesn’t even represent an outside chance. We’d be surprised to see the stayer finish in the first half of the field. 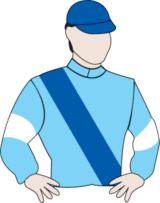 Libran ran on well behind Who Shot Thebarman in the Moonee Valley Cup, but the Chris Waller-trained runner only battled in the St Leger and The Metropolitan in Sydney. Its win in the Kingston Town was good enough to see it finish close to the firs four here, but we believe his best chances would come on a slow surface. Looms as an over the odds horse for our liking. Was given a gun ride in an unusually weak Ebor Handicap at York to take the race out, but the most startling thing out of that race has been horses inability to win following that event. Prior to that Ebor win, the horse had not won since 2015. Would need to improvement considerably to be a contender here and drawing wide hasn’t done it any favours. A massive run in the Caulfield Cup will see punters invest on the horse coming into the Melbourne Cup, but we think your money is better spent elsewhere. 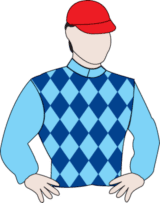 The horse has ran just once at Flemington, yielding a fifth placed finish in the Bart Cummings Stakes. A good, honest competitor that will be outclassed here. Wall Of Fire has had one run since coming to Australia from Ireland, finishing second in Group Two Herbert Power Stakes. That run was enough to earn it a start in the Melbourne Cup and punters have come for him. He’s been one of the best backed runners in the field and having Craig Williams in the saddle at a light weight will give it every chance. Thomas Hobson isn’t a desired pick for the 2017 Melbourne Cup as its best form comes over the hurdles, but the international runners should be respected and it could run in the top 10. How this horse has settled in Australia following a journey from the UK is the big unknown factor here. Running a cracking fourth in the St Leger was a massive effort after encountering trouble, and the form suggests it is one of the horses to beat here. Again, it comes down to how well the horse aclimitises in Australia and how it works at its Werribee base. 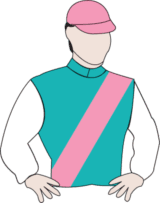 The Bart Cummings Stakes winner was a chief contender in the Caulfield Cup, but following a puzzling decision from Craig Williams to steer the horse to the front, Amelie’s Star failed to fire and finished at the tail end of the field. Williams said the horse “had to use petrol to get there” and was gallant under the circumstances. A better draw will help but we think the horse will struggle to be competitive in the big one. Cismontane was a gutsy winner of the Lexus Stakes, but that hasn’t been a great form guide since Shocking won the Melbourne Cup in 2009. There’s no denying its talent and its will to win, but we can’t have it finishing in the placings against some of the more seasoned Europeans.